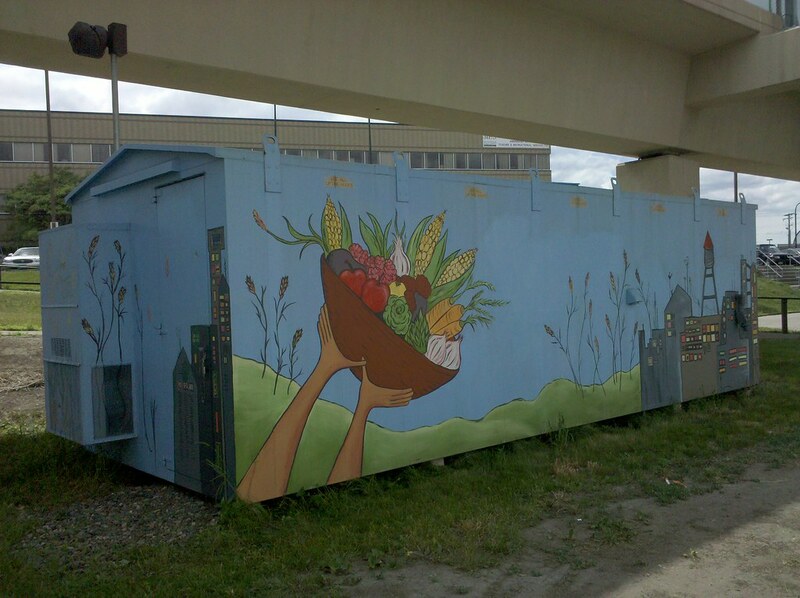 Yes the farmers provide for the city, but what does the city provide to the farmers? A LITTLE ONE-SIDED THERE, MURALIST, DON’T YOU THINK? But man, that city looks awesomely futuristic. If that’s really what the Twin Cities look like, I’ll start packing tonight! The city provides the light. It is the beacon. Looks like a great city, but living in Phoenix I think it would be too cold for me!! Perhaps the basket of food is an offering to the city, as a means of gratitude.